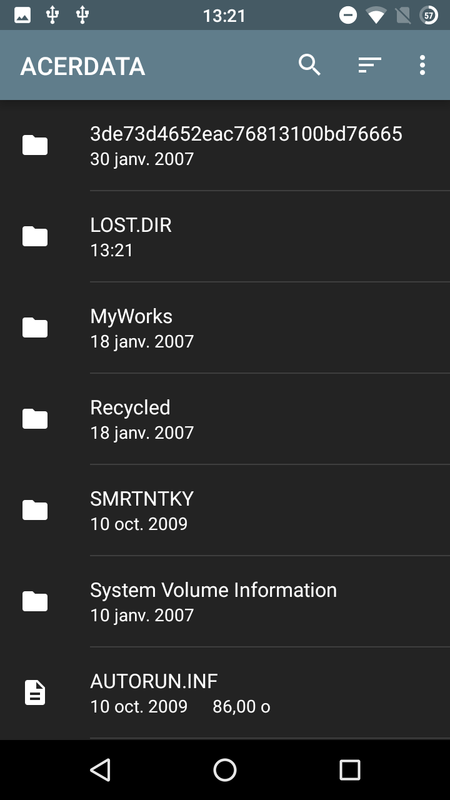 ANDRoid, linUX and various notes for curious end-user. There's quite a long time I didn't post anything out there. It's time to start again with a very quick and dirty post! I recently bought a USB3.0 Hub and plugged my Logitech Unifying receiver in it, everything was going well, until I plugged a USB3.0 SSD in it too. 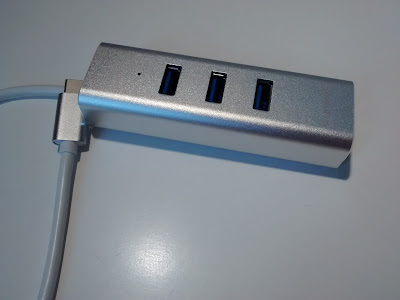 The considered USB HUB is the following : a US3.0 type C to 3xUSB3.0 type 1 + 10/100MB/s ethernet Hub, sold by Lention. 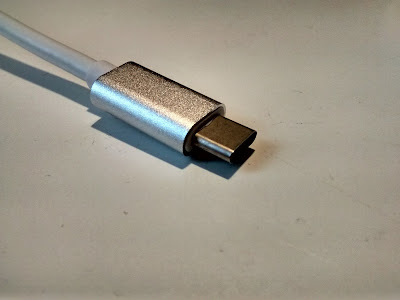 NB: As you can see the USB cable is pinched by the aluminium casing, but this shouldn't affect performances. 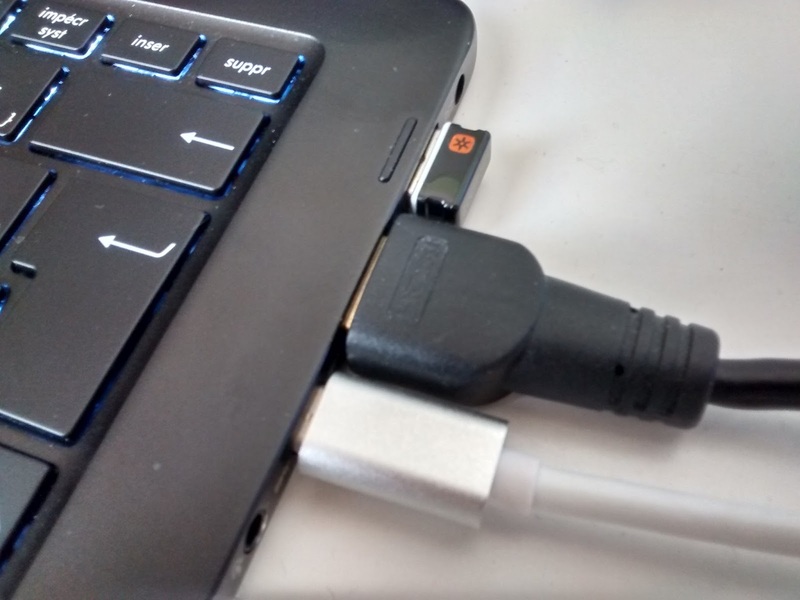 If my Logitech Unifying dongle is plugged in the Hub, and files are transferred from an external USB3 drive, then the mouse is behaving erratically. if it is plugged directly in a spare USB3 port on the laptop and that the Hub is at a fair distance, everything is ok. Using a wireless device near a USB3 hub isn't a great idea, Intel explained why and how to mitigate that issue in 2012. This Intel white paper explains why better than I ever will. 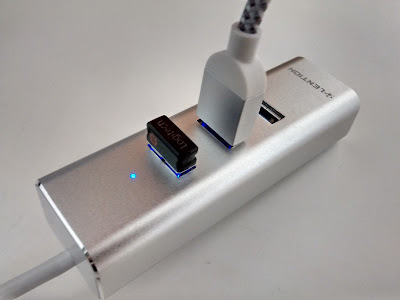 In short, the USB3.0 device emits radio frequencies in the 2.4GHz range and interfere with wireless device by increasing noise level, which at a certain point can mess up with throughput and even break the link. One does not simply trash things at home, every object that can be repaired should be. Recycling is a thing, Upcycling is another. Usually you can't do it at home. Upcycling is reusing things, either as is, or using parts of them to make others. That's something we can all do, the only things needed are time and will. Upcycling in hight-tech is not only about being "Green" (and where is "Green" in playing with broken highly toxic high-tech materials? 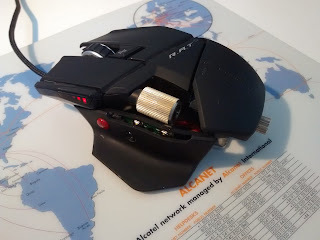 ), not about saving money either (that converter is less than 10€ on ebay). It is more about being able not to throw away unused goods but give them another life. I didn't have any of those HDMI to VGA converter, and they can come in handy sometimes. I found this one torn down, without its box, and some wires partially ripped off. It was time to rebuild it. 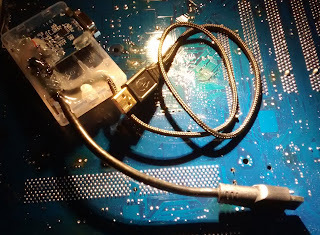 Beside repairing the converter, I got it modded with an external 5V 500mA input (USB). 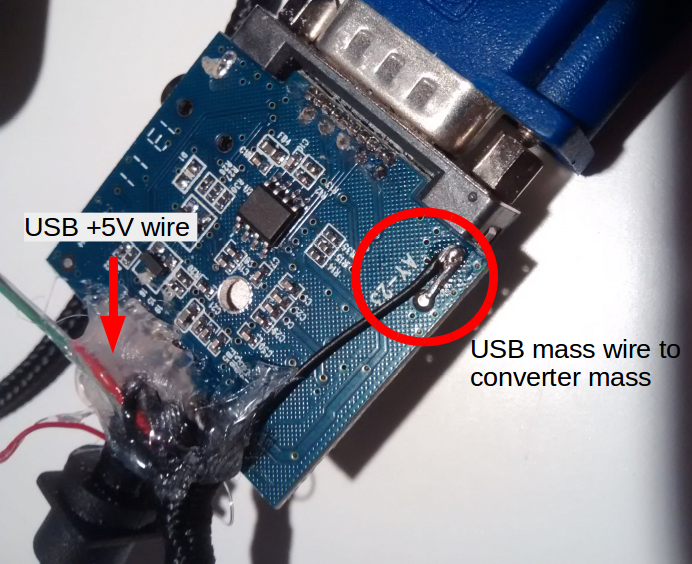 Why adding that external 5V power supply, doesn't it gets its power from HDMI ? This converter is used a lot by Raspberry Pi users that complain about burning a 200mA max rated diode with it and similar converter chips when powered directly by the HDMI input. 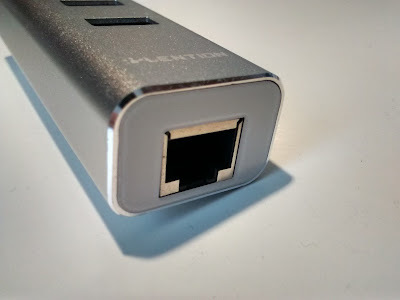 ==> Looks like it draws a lot more than the 10~50mA expected, As my devices with HDMI output are quite old (the most recent is from 2013) I didn't want to risk the source in the eventuality it doesn't have any over-current protection. 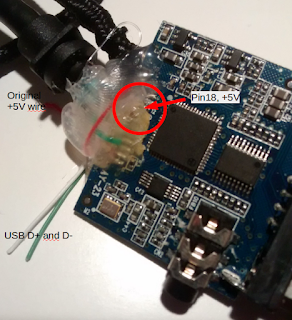 From the HDMI documentation we know that +5V is coming to the pin 18. Luckily the pins were numbered on the board, after checking continuity with a multimeter, pin numbered 18 was actually pin18 +5V as expected. The converter is detected as LTM 40" 1920*1080 display when plugged alone. The result may not be pretty, but it definitely works well. And it proves again that something that was meant to be recycled could be still used after some repair and work on it. 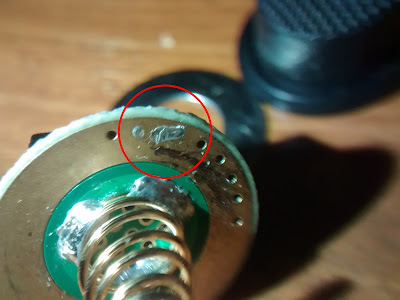 This project has been 99% made out of trashed materials: even the screw is from an old electronic component, only hot glue and solder aren't. 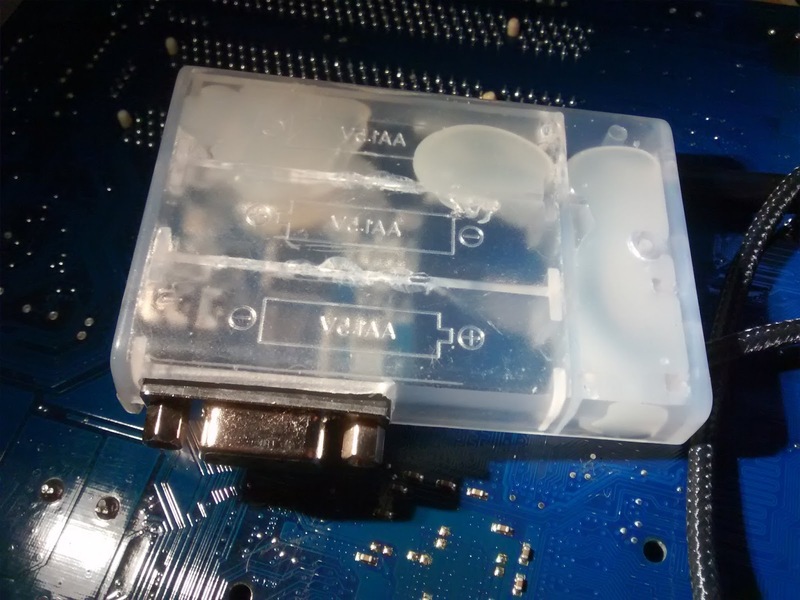 PCBs are hard to recycle, so using a device longer and/or repairing it is "greener" than buying a new device -and paying a few € cents of "green tax" regardless the human work cost of it-. 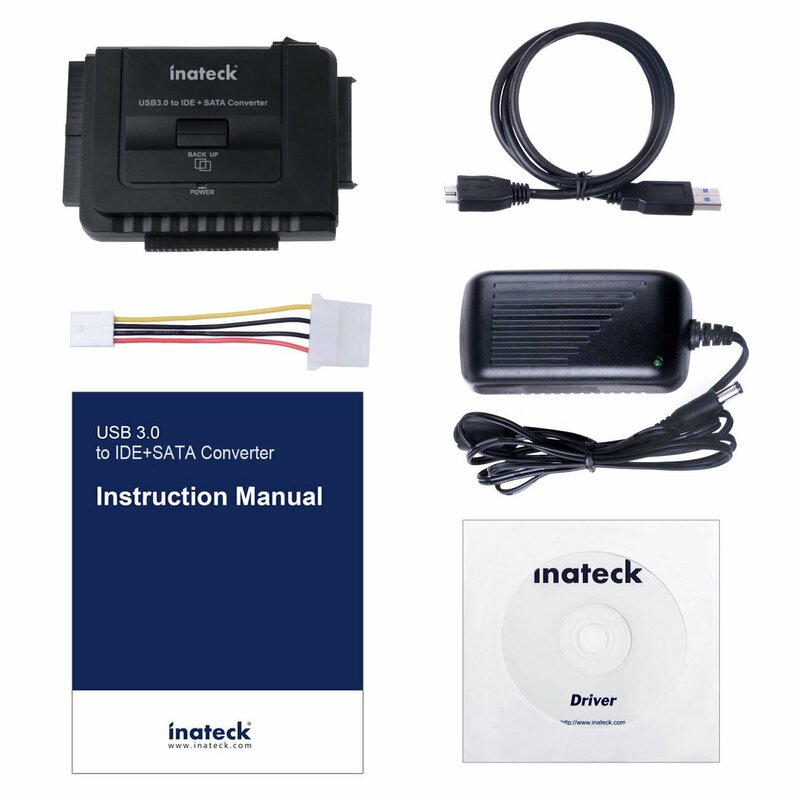 Inateck USB3.0 to IDE + SATA converter: Read your old drives on recent devices! A few friends of mine needed data recovery from old broken computers they had. 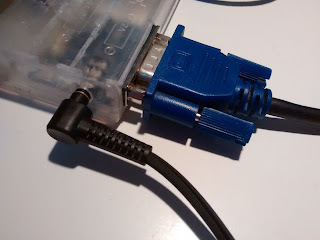 Most of them had a tower form factor PC with old IDE drives or more recent ones with SATA port. For those no issue: Having old working PCs around ... Only needed to drop the HDD in the PC and voilà. 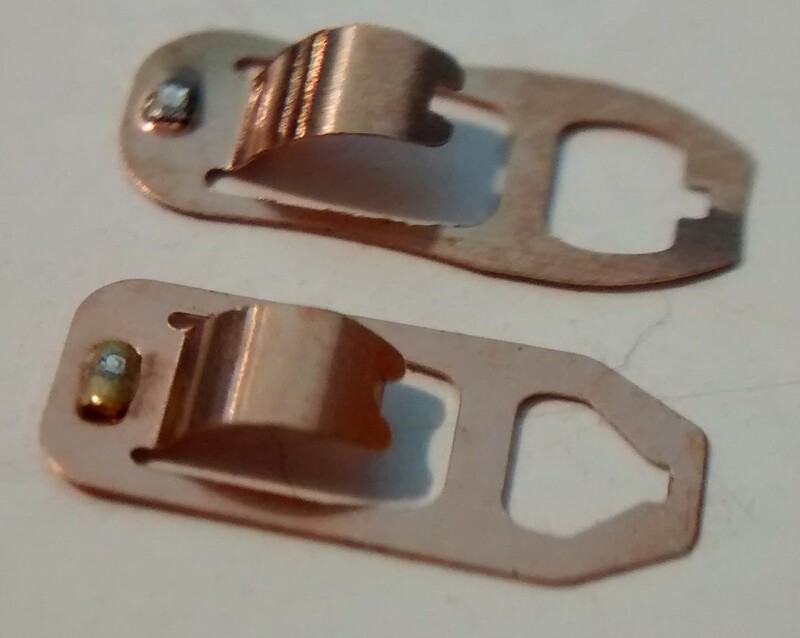 But recently, two friends had Laptops IDE HDDs and i had no way to save their data! 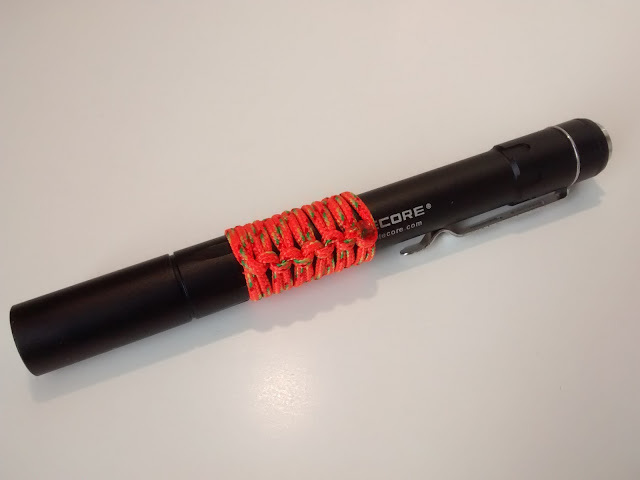 Notes: The converter is made of quite thick and solid black plastic (1mm thick on the edges), it is not "pretty" but it looks tough and reliable (ok, the last thing that i thought was tough -a Nitecore flashlight- failed me). 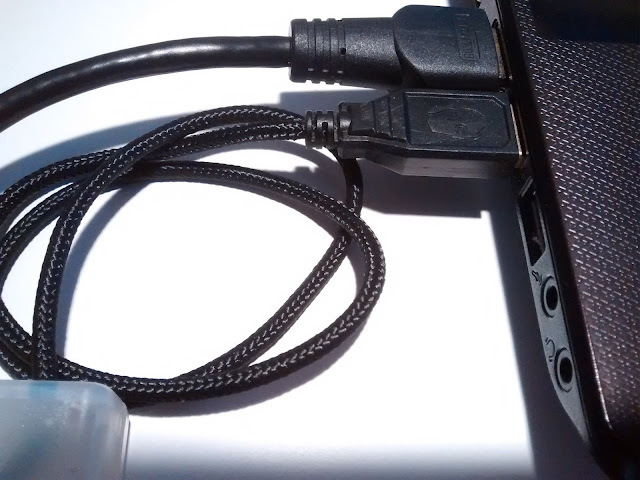 Due to wide compatibility, either the drive or the converter is hanging and not lying on the table. This is not for daily usage in a crowded place but more as an occasional help. 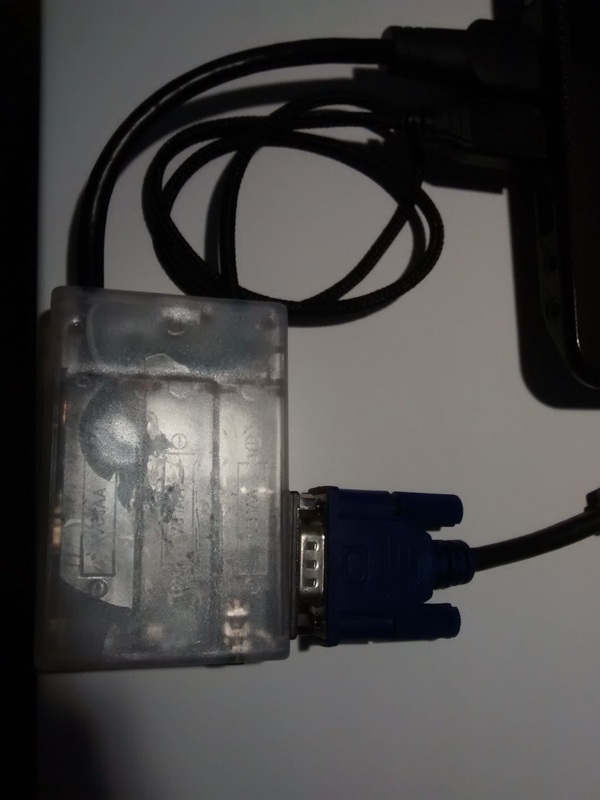 It even works with more than one devices plugged: the datasheet says "Operates with one IDE and one SATA HDD Simultaneously"
So it works on Linux computers, but can we use it as USB OTG reader for an Android device? 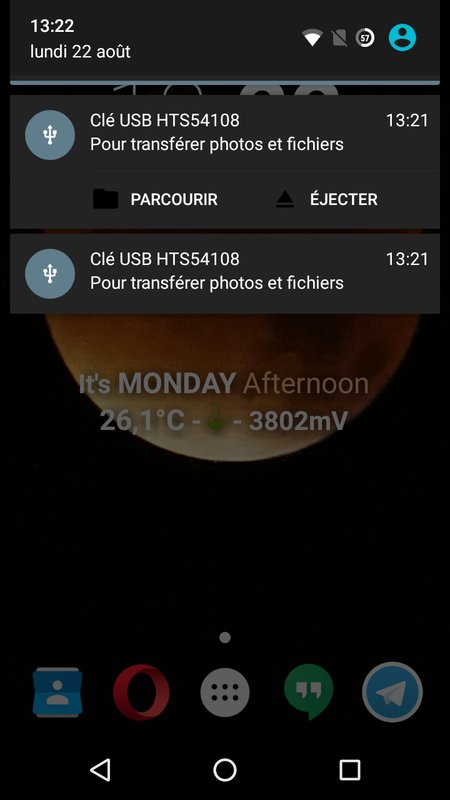 Let's say you don't have a PC (as if it died, but the HDD and your data are still safe but unreachable). This adapter works flawlessly in OTG mode using a simple OTG cable used to read USB flash-drives on Android devices. 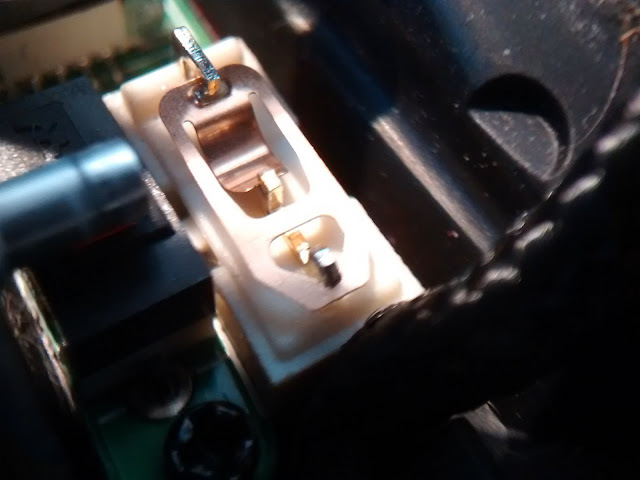 There's nothing to fear about, the power supply of the HDD is done by the adapter PSU so the Android device won't drain itself trying to power it. The overall quality of the product is quite good considering the price. One does not simply trash things at home, every object that can be repaired should be. Here is the story of a broken Cyborg R.A.T.5: it came home broken, and was 'resuscitated' like a Frankenstein's monster. But is it fully back to life? 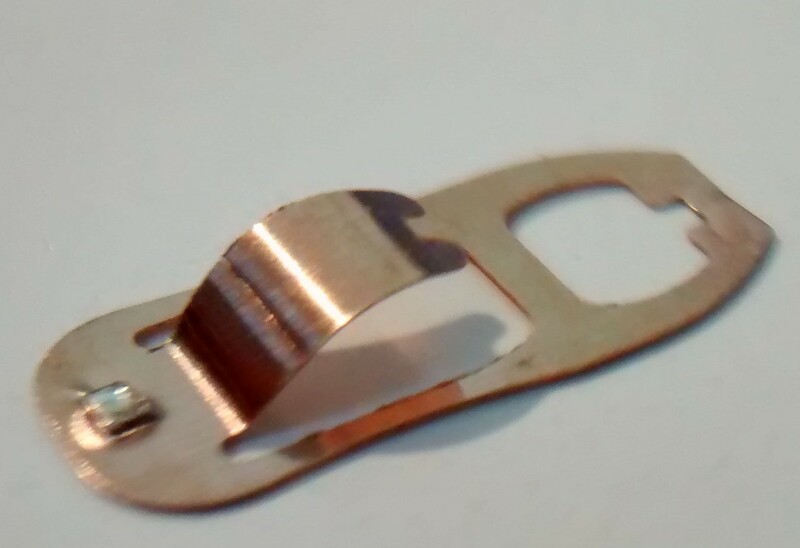 ==> Looks like the left click button spring is bent or broken, this can be "easily" fixed if bent. Though if it is broken, it needs to be replaced (either the whole button casing, or only the spring if possible). Be careful: the process is try 'n fail, and the spring is really easy to break!!! Re-assembling the top case isn't difficult -as long as the previous part was a success-. So the Frankenstein project is still a WIP... 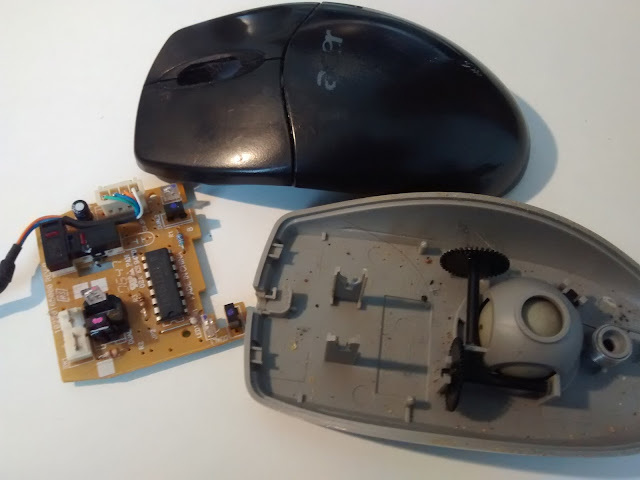 I'll update as soon as I find the definitive fix for the ghost click. Note that i have already saved my own Logitech M505 from death by re-bending the spring of its left button. that spring issue is well known and well documented, but it is always nice to know that it can be possible to swap spring of some switches without having two broken mice. With the 17.3 update of Linux Mint, the GUI that allow to set parameters for the Wacom CTL-480 broke (it doesn't recognize it anymore), but the CLI "xsetwacom" still works fine. The only thing i need (for now) is to switch between Absolute and Relative modes for the stylus. So this will be the only thing i'll cover here (for now). 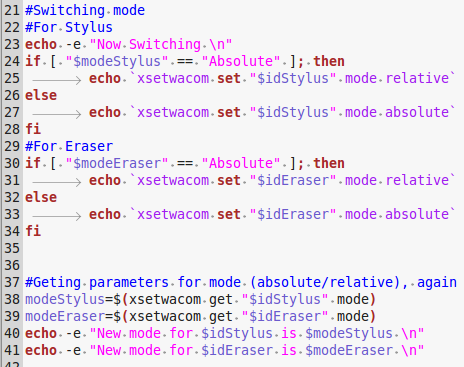 Let's workaround with a shell script that auto-switches between modes at each launch. 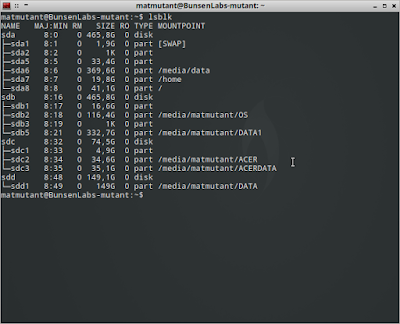 As the output of "xsetwacom --list devices" is longer than the string needed for the set command, let's trim it with sed: (the following command allows variation in the device name, as when the tablet is connected with the wireless module it has "(WL)" in its name. Then the script will check for the mode and switch between both! 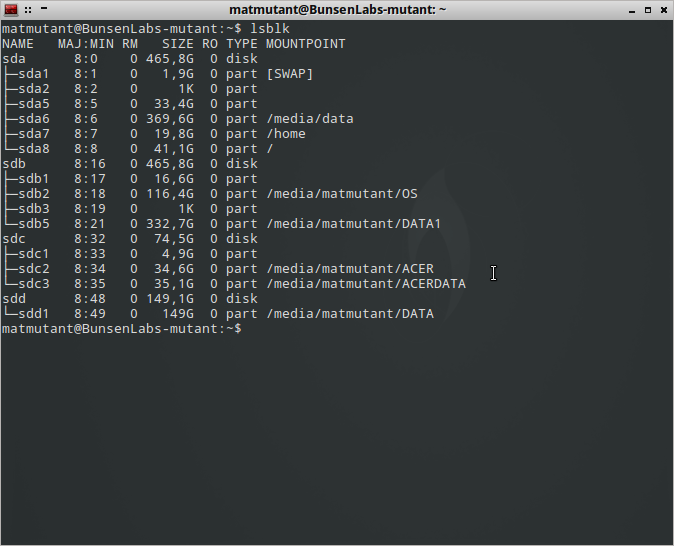 To launch the script, refer to my old post about m505 remapping script. The potential updates to this script will be available on my github. 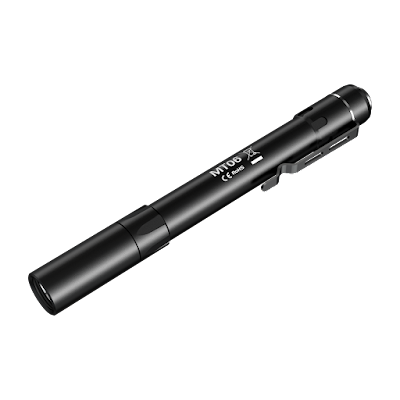 I recently bought a Nitecore MT06 at my local retailer (i went in to get a Nitecore Tube, but bought both the Tube, and the MT06. The Nitecore MT06 is a great pen sized flashlight featuring a 165lm max light output.. but for how long before the thermal throttling feature starts? To get an idea of the flashlight performance i needed a way to measure the Luminous intensity (cd). Having no professional tool for that i used the CT406 light sensor that is embedded in the Moto G first gen (XT1032) : the results won't be complying with the ANSI/NEMA FL1 standard but will be good enough to get our own idea of the flashlight performance. How to get the experimental light outpout? 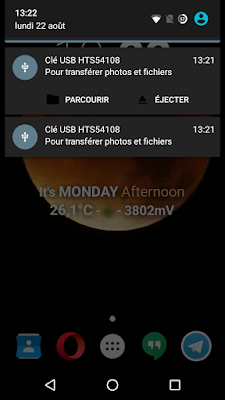 EDIT: How to get the Surface temperature? 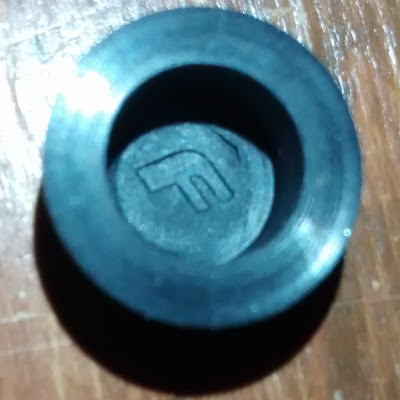 A simple crappy medical contact less thermometer (the Powerscan TH23F -that i recently got for 3€, and does not worth much more-) allows to measure the surface temperature of the flashlight body (with a maximum inaccuracy of about 1°C) , this does not give the real chip temp, but gives some interesting clues. MT06 set to high, as long as it can (meaning until it was too hot to even touch and hold... the ON/OFF switch! Sixteen minutes in low mode to see how consistent the light output is when regulated. The first result (max) is obtained right after turning ON the flashlight, the second (FL1) complies with the FL1 standard and is compared to the official specs. Considering the inaccuracy of the angle measure and the use of a CT406 as light sensor, it seems that Nitecore claims are absolutely legit. Here is what Nitecore says on the MT06 user manual : "NOTE: The MT06 will begin adjusting output lumens automatically after 5 minutes of use, thus preventing overheating and extending battery life"
Let's see how much this is true and how long we can get the advertised 165lm! Nitecore advertises 165lm, 45 minutes of life time with two 1.2V 750mAh batteries, this mean that roughly 1A of current is flooding through the flashlight. 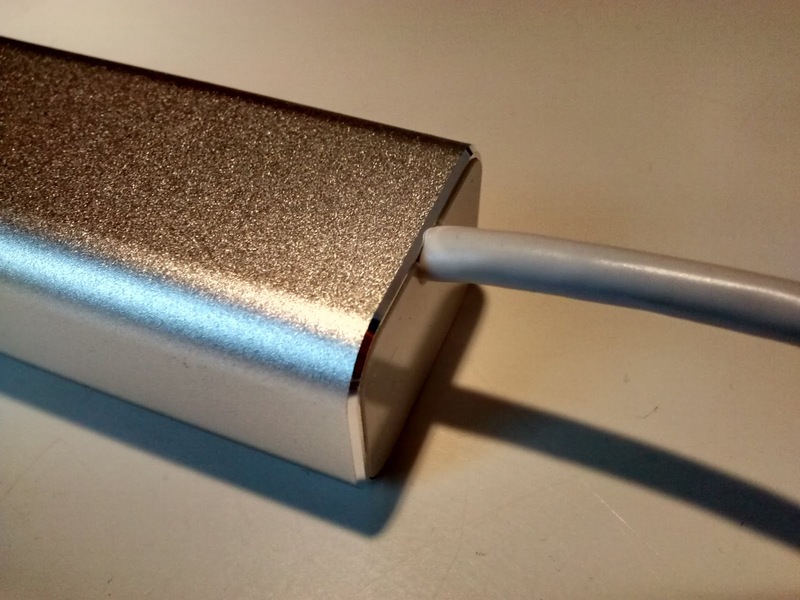 Considering that a LED turns about 20% of energy to light, it means that 80% is turned into heat... so here the flashlight needs to dissipate about 2W of pure heat with its small aluminum boddy. Nevertheless, this little flashlight performs great at low mode (high enough for what it's made for) and provides 165lm if needed, for short times (thanks to thermal throttling you won't get heat burn...). Note that although i couldn't see PWM in low mode, i could hear a very little noise (near to ultrasound) that appears both in low mode, and during thermal throttling. 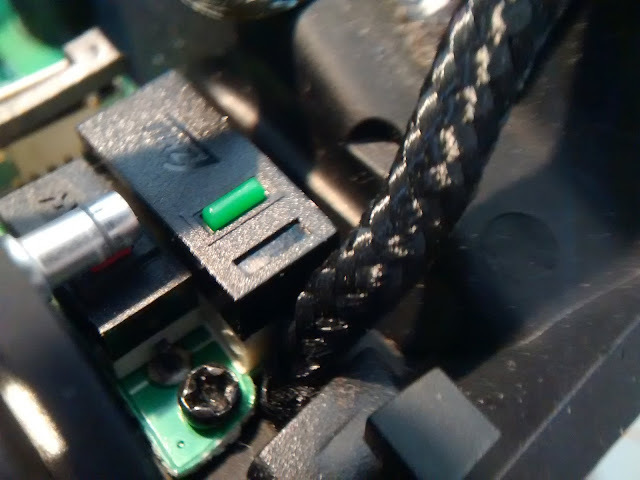 Don't worry this sound can only be heard with the pen light close to the hear -i never noticed anything like this on my Fenix LD12. 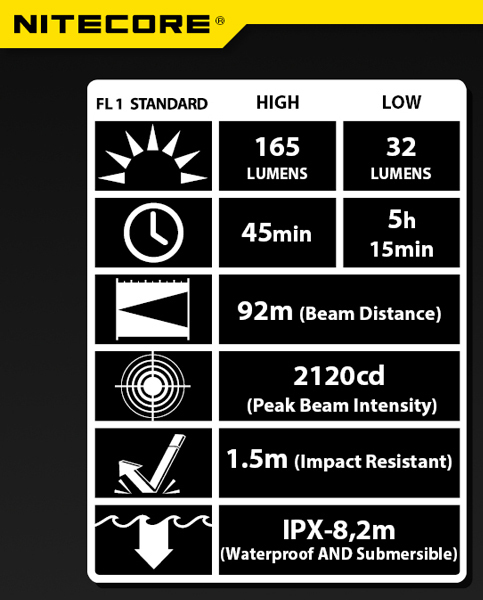 The Fenix LD12 is quite powerful (125Lm) and small size (powered a single AA cell); the flashlight is quite tough with it aluminum body but it has two weaknesses : the rubber capped buttons. Although i found a way to protect the side switch, i still didn't found any good way to protect the tail one. But... Before trying to protect it, what's inside? 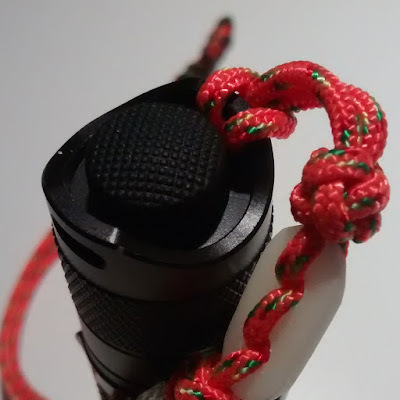 A Circlip, that holds firmly the switch into place AND make contact to close the circuit between the switch and the flashlight body. 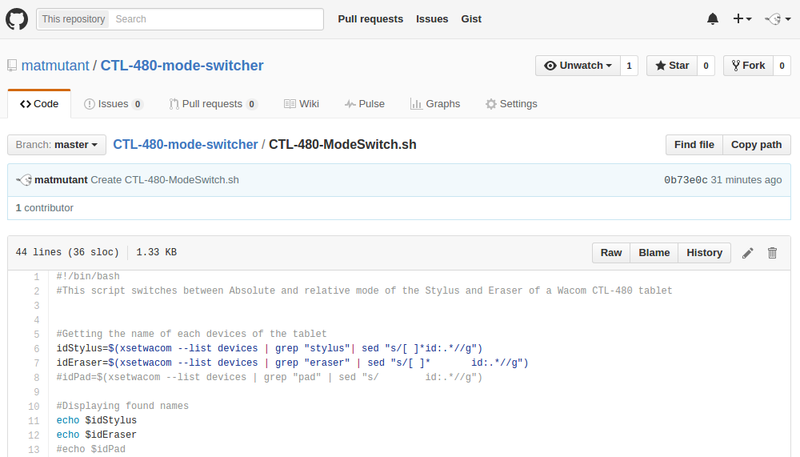 The switch (with click and momentary ON features. Here we have a simple two sided and circular PCB, with a mechanical switch on one side, and a spring on the other one. 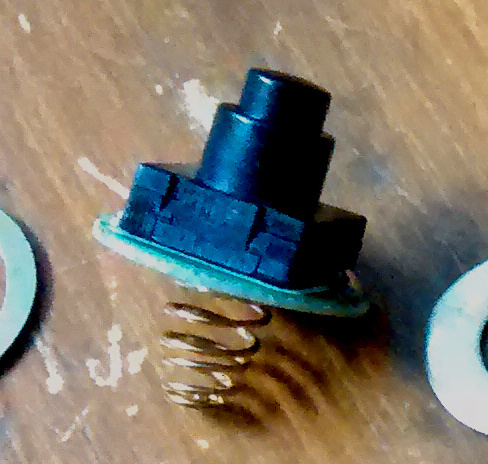 The spring is held by three tin droplets that pass trough the PCB to connect the switch races. The switch features both ON/OFF by full click and momentary ON by pressing gently on it. by m@ . Simple theme. Powered by Blogger.